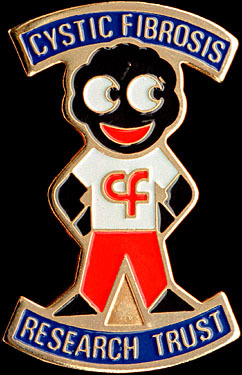 The Cystic Fibrosis brooch was issued in 1987. Robertson's and the Cystic Fibrosis Reseach Trust got together to produce a limited edition of 2,000 brooches. At that time they were sold for £2.50 each and were available only from the Trust. This was the first charity Golly.